Gabriel from fulfilling the prophecy and restoring the Elven race to its former glory. Meanwhile, Gabriel's greatest opponent and leader of the crusade against him and the seven remaining Elves, Liam Rourke grooms his daughter Brianna to be his successor. It soon becomes clear, however, that Brianna must choose between the needs of her heart and the salvation of her own kind. 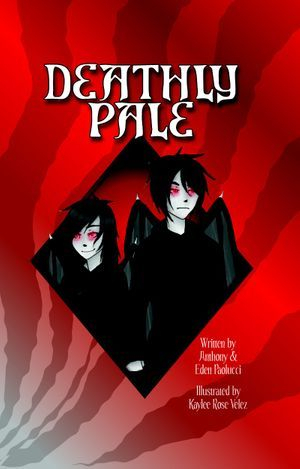 Burdened by the tediousness of their immortal existence, an angel and a demon agree to a wager that entails the influencing of a single conflicted human down a particular moral path. Using all the power of their individual realms, each must pit their cunning and ingenuity against the other in this friendly game of strategy and persuasion. Rome, Italy, 309 A.D.: Augustus is an adolescent boy torn between his dream of becoming a renowned artist and his duty to his struggling family. Will he follow his heart and pursue a life of creativity and profound appreciation, or enter into the military and relive his father's glory days as a noble soldier of Rome? Melcombe, Britain, 1348: The Black Plague has begun its ravaging sweep across Europe, and young Adele, a physician's apprentice, is desperate to help find a cure. She and her master, Merwenna, strive to purge the land of this foul contagion, yet their means are far from ethical. Will Adele continue to assist Merwenna with her unorthodox research in hopes of discovering a way to rid the land of this pestilence, or abandon her attempts in favor of comforting the living? 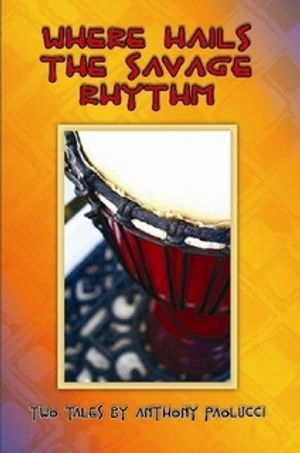 New Haven, Connecticut, 2013: As a fallback to his goal of becoming a famous musician, Michael Paoletti takes a position in an inner city school as a music teacher, determined to switch districts at the first opportunity. Yet, he never abandons his original plan, and one day he is given a chance at stardom. Will he surrender his chance to fulfill his lifelong dream of fame and fortune, or continue to make a difference in the lives of his underprivileged students? More importantly, what is it about Michael that has rendered him so difficult to persuade? As the situation becomes more intense, both divine combatants are soon confronted by the remarkable truth concerning the young man and his fate, but are they resilient enough to endure the outcome? 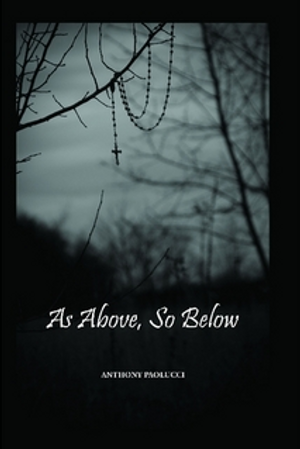 Anthony Paolucci celebrates his passion for music with two intriguing tales. Bluesman is the story of down and out harmonica player “Skinny” Pete Johnson, who never achieved the notoriety of his peers. Resigned to the idea that his life has amounted to nothing, Pete decides to end it all, yet learns that death is not as easily attainable as he once thought. Before he can enter the afterlife, Pete must first locate Big Mama Nell, a successful Chicago blues singer who is the key to his salvation. Can he convince her to do what she must in order for him to depart the world of the living? Skin & Bones is the story of Jason Rose, high school student and aspiring drummer, who is under suspicion for the murder of his girlfriend, Heather. All evidence points to him, yet Jason clings to his innocence. The only way to clear his name is to solve the mystery himself. As the story unfolds, Jason undergoes a powerful change, the manifestation of an African god who endows him with a unique ability. Taking full advantage of his newfound power, Jason must either track down the real killer or confront the possibility that the police had the right man all along. 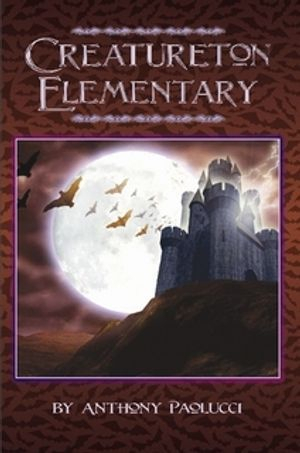 Eighth grader Sally Salamander Squibly is the unfortunate progeny of a Vampiress and a Werewolf. Why unfortunate you ask? Because Sally was born completely normal. Life at Creatureton Elementary is a daily trial, a result of the physical and profound differences that separate poor Sally from her monster peers. Relentlessly taunted and bullied, she perseveres while seeking solace in her friendship with a human boy named Logan. Then one day, she is offered a chance to be like the other children, only on a much grander scale. The temptation of power is great, and Sally must choose between her sad but dignified life, and an opportunity to rise above the torment. Will the results be everything that she had hoped for and anticipated? Then there is the matter of her parents' dark and troubled past, and the mysterious villain who may or may not be after young Sally, just waiting for her to embrace her true monster nature, and assume her powerful role by his side. 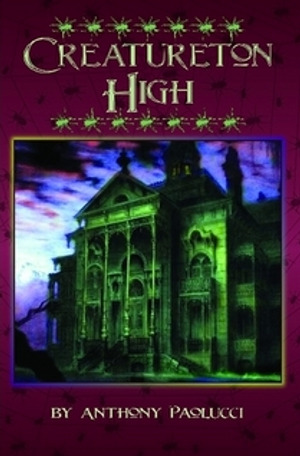 Three years have passed since the events of Creatureton Elementary, and Sally Salamander Squibly, non-monster monster, is a sixteen-year-old student at Rydell High with her best friend Logan. The evil Warlock, Mad Mulligan, remains trapped in the possession of the Witch who captured him, Miss Glinda, and all is seemingly right with the world. Yet, the world of the magus has been thrown into a state of turmoil. Witches and Warlocks everywhere have come to both praise and curse the imprisoned Warlock for having successfully created a hybrid, the first ever fusing of a Vampire and a Werewolf, the most powerful of all the monster species. Some wish to create hybrids of their own, to strengthen their forces in their attempt to overthrow the monster government, who have been their oppressors for hundreds of years. Others wish to prevent the creation of such a creature. The hybrid is a very powerful weapon, and in the hands of malicious sorcerers, the results would be catastrophic. Strife between the divided factions has opened the door for a magic-user of exceptional strength and intelligence to step forward and lead the revolt against the monster government. 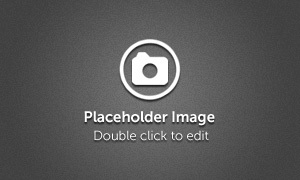 Miss Glinda has devised a plan for stopping the dissident magic-users from achieving their goal, but to do so Sally would have to become the Hybrid again. As she toils over the difficult decision, Sally struggles with the everyday trials and tribulations of being a teenager. A young man has caught her attention and ensnared her heart. Phelan is charming and handsome, but is he simply too good to be true? Will her newfound joy be enough to distract her from the impending war between the magic-users, one that has begun to trickle over into both the human and monster world? And will Sally survive the betrayal of those closest to her, or succumb to the despair that threatens to destroy her dreams of a happy life? 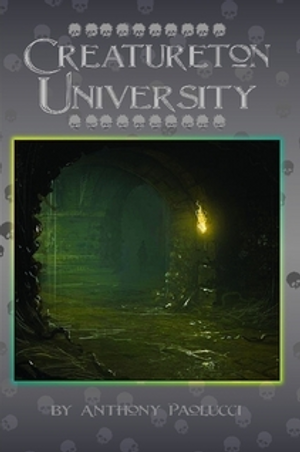 Another five years have passed, and Sally and Selene are students at Creatureton University. All this time, Mad Mulligan has remained quiet, his location and intentions unknown. Monster society enjoys a period of tranquility in his absence, though Sally and the others have remained vigilant, prepared to act at a moment’s notice. In the wake of a terrible tragedy, a series of mysterious abductions occur throughout the city, once again putting monsterkind on edge. As Sally and the others struggle to discover the whereabouts of these unfortunate creatures, a plot for the renegades to wipe out the governing leaders of both the human and monster races is uncovered, and our heroes must do their best to thwart this dastardly plan. Yet, when a member of their past unexpectedly surfaces during the assassination attempt, their lives are thrown into a tailspin. Only the recovery of a lost item, buried deep in the catacombs of Creatureton University, can hope to defeat this latest threat. Yet, its retrieval is perilous, and they must risk their lives in order to obtain it. All the while, Sally and her friends cope with the profound changes in their lives, as they strive to understand who they are, who they’ve been, and who they will become. Relationships are tested, and new friendships forged. Sally herself is once again thrust into familiar roles, yet in the process learns that she is not as unique as she once thought. Will monsterkind survive the onslaught that threatens to destroy their way of life? And will Mad Mulligan appear once again to finish what he started eight years ago? 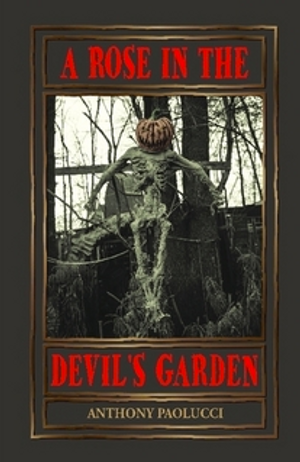 This book marks the exciting conclusion to the Creatureton Trilogy. Five hundred years ago, the vampires and humans waged a war of survival and supremacy. Eventually, a human mage stepped forward and offered to turn the mighty river that divided their lands into a never-ending flow of blood, from which the vampires could sate their savage yet vital need, without having to feed on the humans. Both sides being desperate to end the war, the vampires agreed and thus peace and harmony reigned for centuries between the races. Now, a mysterious being has cursed the river, which is slowly reverting back to its watery state. If the curse succeeds, war will erupt again, a fate neither race wishes to see occur. Rayna and Bram, two vampire youths, who are both childhood friends and on the verge of discovering their love for each other, have taken it upon themselves to solve the mystery of the nameless sorcerer, the only person who can undo the curse. Both the humans and vampires accuse the other of being responsible, either side making a valid argument against the other. Can Rayna and Bram determine the villain’s identity before the river returns to water? Will relations between them and their human companions endure or suffer through these trying times? A child is born who fails to take his first breaths. 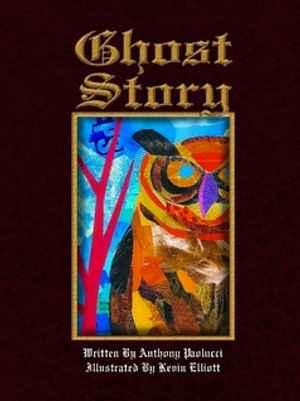 Overcome with anguish, Ethan, the village physician and constable, who is also knowledgeable in the ways of magic, transfers his son’s newborn soul into the body of his daughter’s beloved cat, Ghost. There, the child is safely kept until Ethan is able to find a suitable body for his son to inhabit. The harrowing predicament soon becomes a moral dilemma, for both Ethan and his wife Abigail, who only have until the aging cat departs this world. All the while, the family is plagued by gossip and suspicion at the hands of their superstitious neighbors. Will Ethan cave beneath the weight of his confliction and allow his son to pass into the afterlife, as nature intended? Or will an unexpected opportunity allow him to give the child the long and happy life that fate cruelly denied him? The Corn Maid, an evil witch who has plagued the quiet valley settlement for hundreds of years, has bequeathed her wicked methods for transcending mortality to her loyal henchman. Now, endowed with the ability to overcome his vulnerable existence, this foul servant of the witch has put into motion his own otherworldly transformation by continuing her savage crusade against the innocent lives of the villagers. Young David, a victim of the henchman’s cruel misdeeds, awakes to find himself in a strange prison, on the outskirts of the forest. Will he find a way to escape his unusual confines? 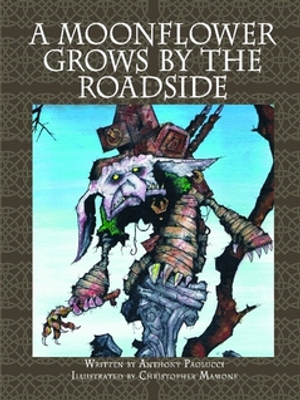 If so, can he survive the treacherous journey necessary to put an end to the Corn Maid and her terrible servant forever? St. Valentine, beloved poet, suffers the unexpected demise of his romantic involvement with beautiful Pristina. Reunited with the elderly woman with whom he had once been friends, until forsaking her in favor of his former lover, Valentine is moved by the woman's compassion after finding him near death as a result of his shattered heart. 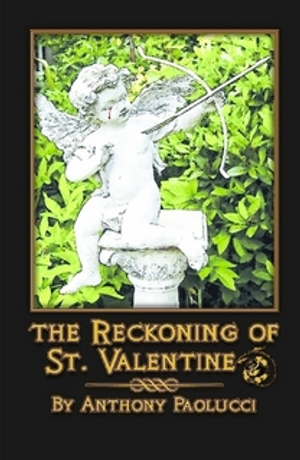 Inspired by her forgiveness in the wake of his shameful treatment of her, Valentine vows to be a crusader of love, reuniting ill-fated hearts by rekindling smoldering passions. His methods, both unethical and unconventional, incorporate the use of violence, placing these lovers in mortal peril with his bow in hopes that the threat of tragedy will awaken slumbering hearts. Among the many whose hearts are targeted by Valentine's bow, will Pristina's one day fall into his line of sight? Will Valentine be rewarded for his noble efforts, or is there more at risk than originally believed? Daydreamer Winter Mitchell struggles to find balance in her life, torn between the need to maintain her grades and appease the budding artist within. Escaping the rigors of adolescence by way of her art, music, and books, Winter copes with the pressures of being the daughter of two working artists, and the heartache of a younger brother with a life-threatening ailment. Her best friend and confidant, Taliba Jones, accompanies Winter on this never-ending quest for personal acceptance and understanding, yet there are times when Winter feels as if she’s destined to be alone, a failure in her endeavors, and a general disappointment to all. Then comes the day Winter’s mother presents her with a curious heirloom, an ancient bracelet that is bequeathed to the women in her family at the age of thirteen. 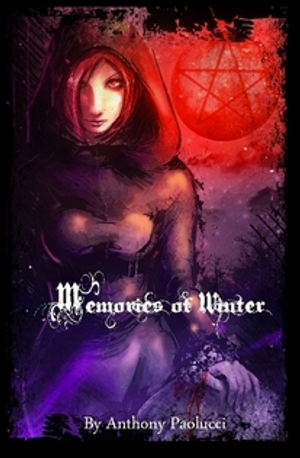 Winter’s dreams soon become a doorway to the past, as she bears witness to the magical awakening of bracelet owners past. Forever changed by their newfound abilities, will Winter be next in this long line of girls whose lives are touched by the bracelet’s power? High above the earth, a new moon enters her celestial existence. She is charmed by the warmth and beauty of the heavenly bodies around her, and an array of thrilling and curious sights fill the moon with wonderment. Yet it soon becomes apparent that she is the only moon in the night sky. Questions regarding her identity soon overwhelm her, and she is compelled to seek out answers. Will the moon find contentment in the things she learns about herself or succumb to self-doubt? Most of all, will she take comfort in what renders her unique and accept that which makes her different from those around her? 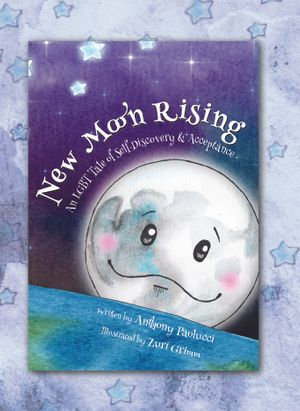 NEW MOON RISING: An LGBT Tale of Self-Discovery & Acceptance is a story for young people struggling with their sense of identity. Self-discovery can be a challenging time for any child, yet for those uncertain of their sexual orientation or gender, it can be even more difficult. A PARTICULARLY HAIRY SITUATION COMING SOON! Carmella Coiffe, like many girls her age, is the unfortunate victim of what some might refer to as "cursed hair" - or at least, that's what she thinks. Carmella’s long and defiant tangle of curls rests atop her innocent crown like a sentient mop, determined to render her life a series of embarrassing moments, uncomfortable stares, and cruel jibes. Yet, Carmella is a clever girl and motivated to lift this wretched curse, once and for all - by employing the help of some very unlikely yet talented individuals. Will Carmella be successful in her ambitious attempts to master her savage mane, thus putting her on par with beautiful Buffy Bouffant and her bodacious blond tresses? Or will she find a way to live with the tenacious filaments burdening her young noggin and finally bring peace to her otherwise tortured existence? Forced to conform to the wishes of his parents that he be a slim and healthy child, Gregory Griswold Gulf longs for the moment when he can defy their authority and indulge his desire to fill his face with every appealing and delectable item that falls beneath his voracious gaze. Then comes the day when that blissful moment presents itself, and Gregory is freed from his prison of dietary oppression and self-control. Yet in his efforts to satisfy his fierce and uninhibited passion for the consumption of savory delights, Gregory learns that yielding to such gluttonous urges often comes with a price. Two Elven races, both dependent on the creatures who meet their untimely demise on the streets of the human world, albeit for different reasons, have come together in a conflict of cultures. After centuries of avoiding the other, fate has brought these two groups together and has imposed upon them the dilemma of who has a greater right to these remains. It is the tradition of one Elven group to bring the remains back to their village, whereupon the animal is used to enrich and nourish the soils and waters surrounding their village. 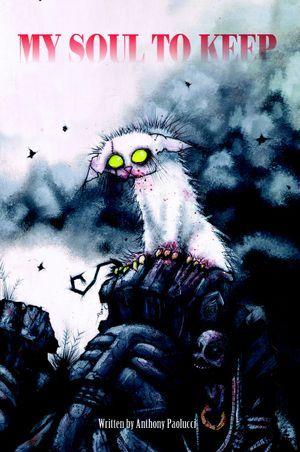 The other group shares a similar tradition; however, instead of burying the animal, they release the slumbering spirit within so that it might find a newborn of its kind and reenter the physical world. 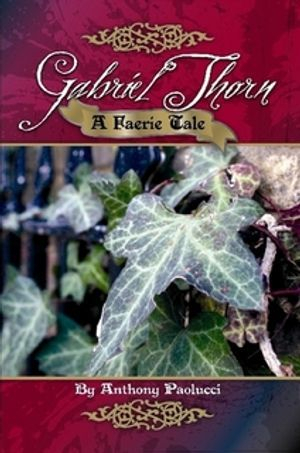 When both groups reach a stalemate, and their villages begin to suffer as a result, a young Elf named Moonflower risks his life for the sake of his people. Will Moonflower succeed where his elders have failed? If so, will there be a price to pay for his achievement? Leopold is the quintessential outsider. Preferring to experience life from a safe and predictable distance, he shelters himself in the love and care of his cherished reptile collection. Leopold feels a deep affinity with these creatures, their cold and emotionless behavior a trait that he strives to embrace in order to protect himself from the realities of adolescence. Yet as much as he tries to camouflage his presence with silence and a dark, forgettable appearance, Leopold fails to achieve true anonymity at both home and school. Until the day he is made a unique offer and given the chance to hide himself from the world, while remaining in plain view. Will Leopold find happiness in this coveted state, or will getting his wish prevent him from seizing opportunities that might otherwise improve his life? A newly departed spirit scours the cemetery grounds for what will ultimately be his ghostly form. This curious young wraith, anxious and unsure, briefly embodies the different wildlife that inhabit the area in hopes of making his decision soon. Which of these creatures will best compliment who he was in life? And will he be forever content with his eventual choice? Arriving home late one evening, Lindsay Lannigon Leppensteed is confronted by his father, who attempts to scold his young son for his tardiness. Yet, Lindsay has prepared another fantastic excuse, filled with goblin abductions, hairy wookalars, swashbuckling heroics, and death-defying feats. Awed by his son’s unique imagination, his father sends Lindsay off to bed without reprimand. That night, Lindsay is kidnapped by goblins, whereupon he is flown to their kingdom on the back of a giant wookalar. There, he must earn the favor of each of the four goblin kings by way of a difficult task. If their favor is earned, Lindsay is doomed to be a fitting meal for the goblin horde. Never one to shy away from a challenge, no matter the cost, Lindsay accepts these tasks unconditionally. 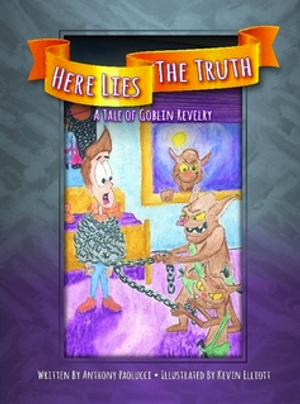 After all, his goblin adventure has played out so far exactly like the tale he told his father that very night! Will Lindsay earn the favor of the four goblin kings and become their next meal? If so, is there enough time for him to appreciate all that he has learned about the dangers of lying? It’s Pam and Erik’s first comic book convention! Joined by their comic-loving dad, both children are overcome by the many wondrous sights. Costumed heroes, toys, and books surround them, piquing their curiosity and filling them with awe. While immersed in superhero fascination, Pam spies what she believes to be an actual comic book villain lurking about. Suddenly, her world is transformed into a real-life adventure of good versus evil, where villains are pursued by the just and only the courageous of heart prevail. 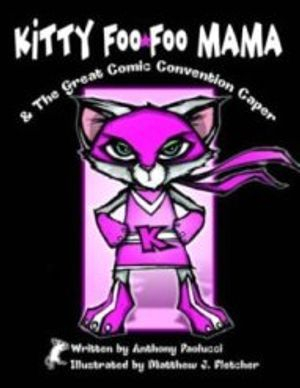 Join Pam on her wild adventure, as the convention center becomes the setting of a fast-paced criminal caper! 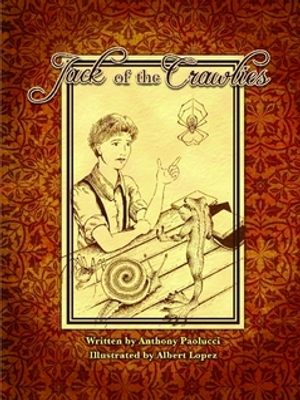 A young boy with a strange and unusual ability must learn to share his quiet forest refuge with, of all things, A GIRL. 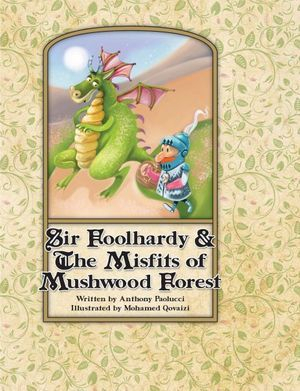 Can his unique friends find a way to bring them together and restore harmony to the forest? 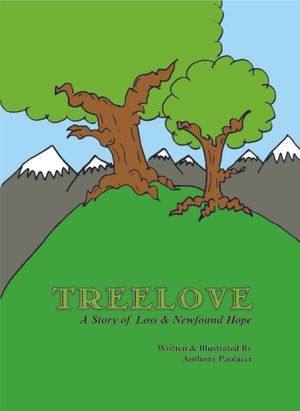 TREELOVE: A Story of Loss & Newfound Hope is an allegory about the all-too-human struggle with tragedy and loss, the hope it can inspire, and the unshakable resilience of life. 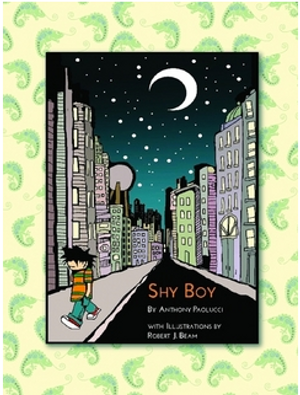 A spirited boy with courage to spare, Ryan longs to partake in the fun activities enjoyed by the older children in his family. Yet, being the smallest and youngest isn't easy, and Ryan must find another way to pass the time. 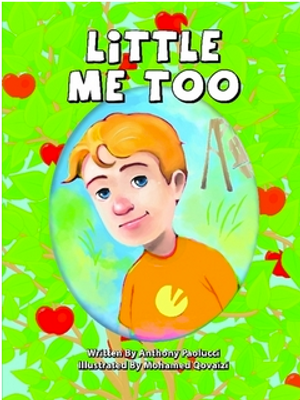 Just when he's about to give up, Ryan learns that sometimes being small has its advantages. In the Lands of the North, a perennial wonderland of forests and snow, stands a castle that is home to Nicholas Claus and his Elves. There, lonely Clara whiles away her time alone, waiting until the day she is old enough to begin making the toys that Nicholas delivers each year during the holiday season. One day, a mischievous Faerie named Bristlefiend manipulates Clara into taking a mysterious journey to the Lands of the South, from where she must return before time runs out or else remain trapped for many years. 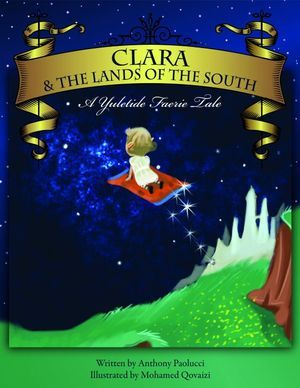 Accompanied only by her magical flying blanket, and her penchant for curiosity, Clara enters the world of humans, a place filled with many fascinating sights and sounds. While exploring the wonders of city life, Clara learns the meaning of selflessness and sacrifice, and discovers the values of home and family with the help of some unlikely characters she meets along the way.